For the average moviegoing adult, the thought of children climbing all over the seats and bouncing around the theater shrieking with delight during the film does not sound like the ideal movie-watching experience. But if you’re a kid who can’t seem to sit still for 90 minutes straight, it probably sounds awesome. Mexican movie theater chain Cinépolis is bringing its in-theater playground concept called Cinépolis Junior to the United States at two Southern California locations next week. Other theaters set to open in 2017 include locations in Dallas; Dayton, OH; and Orange County, FL. 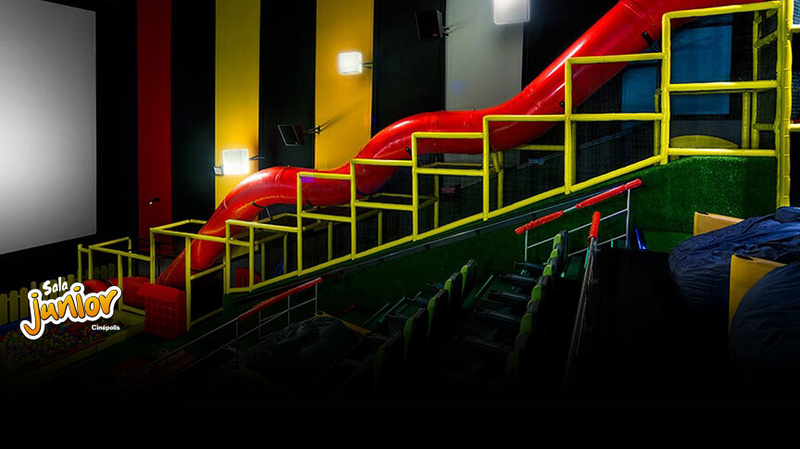 The auditoriums feature slides, beanbag chairs, and plenty of stuff to climb on in a play area down front, including something called a “Wobble Hopper” that the company likens to stationary Pogo sticks. Tickets to these theaters cost about $3 more than regular shows, and that does not include the cost your eardrums may pay upon entering. The hope is that Cinepolis can lure families out of their homes and away from streaming options. Translation: If parents want to actually see (and hear) a movie, this is probably not the place for you. If you want to earn some points with your kids, bringing them to a movie romper room could be a good way to do it.